Smarter hearing technology requires smarter batteries. In the past decade, hearing aid technology has come a long way. With this new technology, hearing aids offer much more accessibility for their wearers. Through downloadable apps and Bluetooth, hearing aids are able to connect wirelessly to smartphones and personal electronic devices This allows wearers the option to stream phone conversations, music, and other media directly from their devices to their hearing aids. In order to power these technologies, hearing aids now require more energy than they did before. 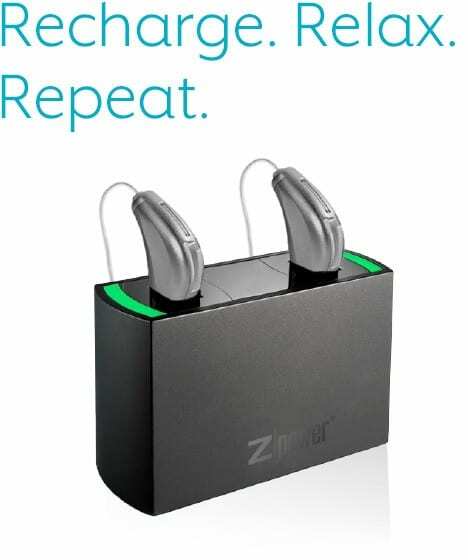 This means that traditional zinc air hearing aid batteries, which before lasted between one to two weeks, now require replacement within a few days. For people who are binaural hearing aid wearers (both ears), replacing batteries becomes quite costly. Hearing aid batteries also come at a cost to the environment: it is estimated that 150 billion zinc air hearing aid batteries are disposed annually in landfills, which potentially seep into underground water systems. As hearing aid technology continues to grow more innovative, how do we responsibly power these powerful devices? Though rechargeable batteries have been available for the past few decades, they have only recently undergone improvements. 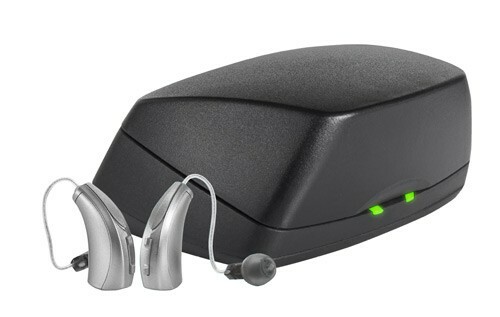 Now, rechargeable hearing aid batteries are more user-friendly and simple to operate. They also provide a much more reliable and long-lasting charge than they did in previous incarnations. Rechargeable hearing aid batteries do need replacement – but the time span ranges now from one years to several years, depending on the brand and model (rather than multiple times a week). This benefits hearing aid wearers who experience dexterity issues; now they no longer have to struggle with the small components of their hearing aids. Rechargeable hearing aid batteries are also much more reliable in their charge, and they are guaranteed to last for longer periods of time during the day. This brings confidence to wearers, who may have found themselves in the inconvenient position of running out of battery power and not having an extra pair of batteries. 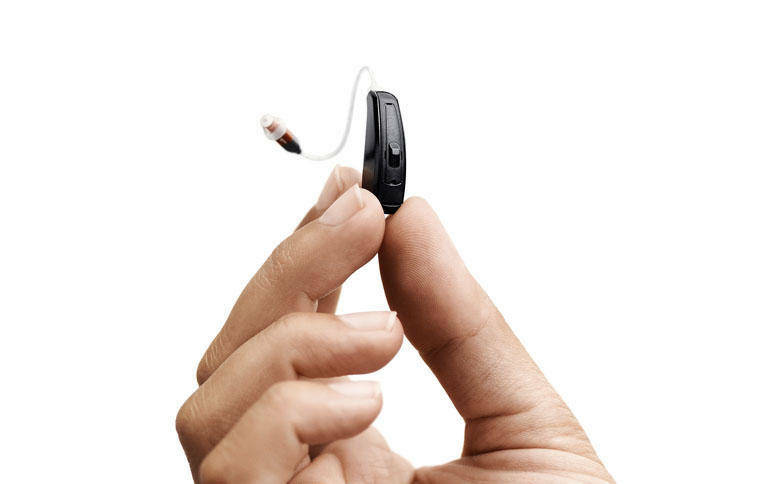 Starkey’s new best-in-class rechargeable hearing aids last 20% longer than other systems, are 30% smaller and 100% easier to use. Plus, with the industry’s fastest charger, your hearing aids will be ready to go. With ZPower, you can enjoy continuous stable and uninterrupted use throughout your day. With rechargeable solutions, you can also avoid hassle of disposable batteries. You simply set your Muse iQ or Muse mirco RIC 312 hearing aids on the ZPower charger overnight, instead of replacing your batteries every few days. A pair of ZPower batteries can take the place of an estimated 200 disposable batteries. Your hearing care professional can replace your ZPower batteries for you each year. Siemens and Signia offer the eCharger, which is compatible with the new Signia Primax, as well as popular Siemens hearing aid models: Pure (receiver-in-canal), Motion (behind-the-ear) and Carat (receiver-in-canal). Before going to bed, place your hearing aids into the eCharger and six hours later, they are fully powered for. The eCharger also functions as a drying station, which removes moisture from your hearing aids as it charges the batteries. 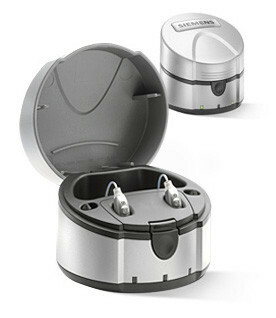 With the Siemens/Signia rechargeable hearing aid option, wearers are required to replace their batteries once a year.